Yes, the Festive Summer Season is almost here. We hope you are enjoying this special time of the year, preparing for your holidays, spending time with family and friends, taking it slow. We believe in the slow life, slow lifestyle, slow fashion. Responsible living also means reducing your carbon footprint, conscious consumption and thoughtful giving. Choose the local options: Stay in our beautiful country for this vacation, purchase local produce, embrace our arts and crafts. Have you ever heard or Furoshiki? It's the age-old Japanese art of wrapping a present. We have looked into this beautiful tradition because you can also use a precious silk scarf for this lovely, eco-friendly way of giving (you will get to keep your scarf, don't worry). Read about Furoshiki on our blog. 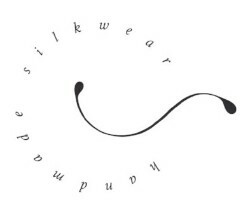 Unlike other natural fibres such as cotton or wool, silk has penetrated deep into religious, social and cultural traditions of ancient China, Japan and India. Silk enriches religion, tradition and ritual. Find our article about silk rituals and ceremonies on our blog, as well as the story of the ancient Silk Road. By the way, if you want to learn more about the history of the Silk Road, there will be a lecture series at the UCT Summer School in January. It will surely be fascinating. At Mantua we have been busy preparing for a few events and our official launch early in the New Year (watch this space!). We will be up in Joburg for the fantastic local fashion Platform23 Pop-Up on November 30 and December 1. In Cape Town we are part of the amazing Bevy Collective at The Bello Studio. This market will feature 26 local designers and it's right at the Old Biscuit Mill in Woodstock. So, if you are looking for special gifts and beautifully handmade presents, this is the place to go. Catch the vibe - not just on Saturday but every day of the week from December 3 to 15. We are delighted to announce that we now also stock No.5 On Hudson - a beautiful gallery showcasing contemporary art and fine objects in Cape Town's De Waterkant District. Stop by when you are next in the area. 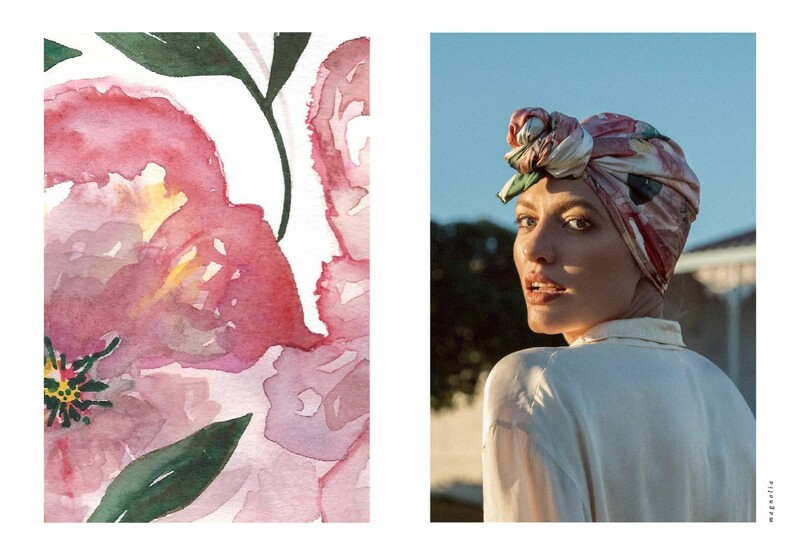 Our scarves were recently featured in Rooi Rose and Visi Online Magazine. We always love to work with the media, photographers, models and other designers. You can view the stunning results of our recent collaboration with The Rare Library in our new Lookbook Summer '19 on our website. Email me for features and photoshoots, I'd love to hear from you. Thank you to all of you, my family and friends for your love and support during this year. It's been so exciting and inspirational and it makes everything worthwhile. May I now wish you a wonderful, peaceful Christmas and a good start into a happy and healthy New Year. Drawing on the symbolic flower images of American artist Georgia O’Keeffe, flowers and petals embrace to nurture and protect. Womanhood is many things. When life allows a softening, she blossoms. A woman's loose gown of a kind fashionable during the 17th and 18th centuries. From French manteau "cloak, mantle" from Old French mantel (see mantle); form influenced in English by Mantua, name of a city in Italy. Mantua-maker (1690s) became the general early 19th century term for "dressmaker." Copyright © 2018 Mantua Silkwear, All rights reserved.